Plus the Overall of the Men’s Physique and the awarding of the Pro Card to Florian Wolf. For the first time, you can purchase any class of your choice, and have the edited Video File sent to you by a free video transfer service. A Video File includes the complete class through to the awards. All class video files will be immediately transferred by our free video file transfer service on the same day they are ordered. Or you can order the DVD here, GMV-956DVD. 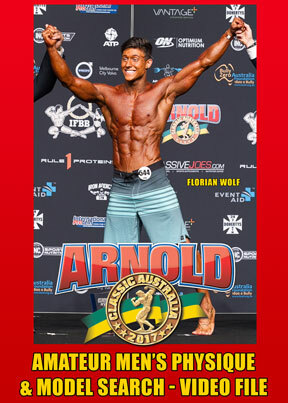 Photography: Gary Phillips Photography & Darren Burns & The Arnold Classic Photography team.